Commercial free standing retail building & living quarters. Location, location, location is just one of the strong points of this retail building. 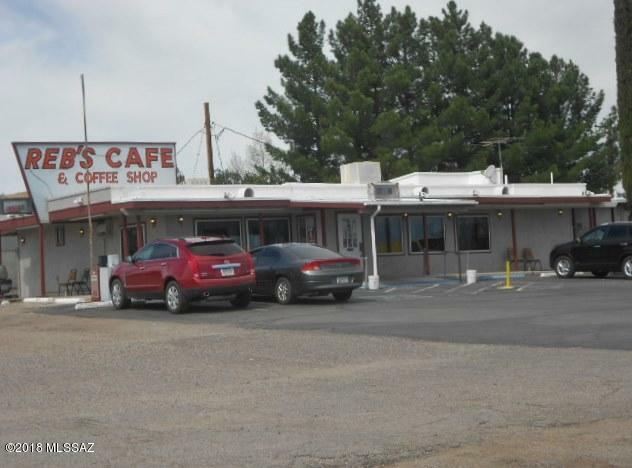 This was the successful Reb's Cafe for over 20 years. 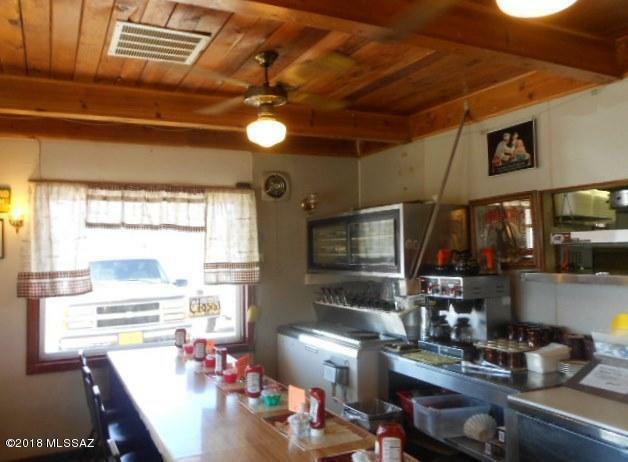 Along with a strong customer base, Reb's had a prime visibility from the main street of Benson. 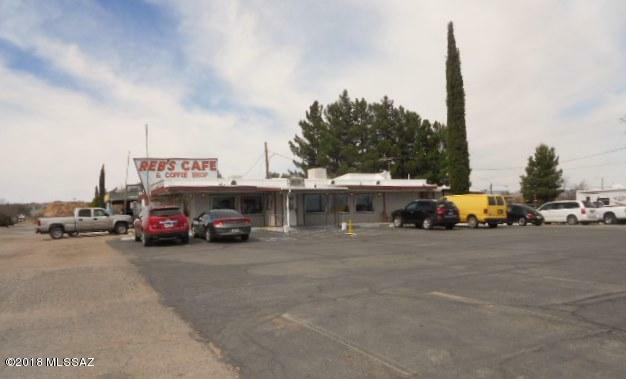 This real estate, retail building, has included with the purchase price, 20 4-top booths, 7 2-top booths & counter. 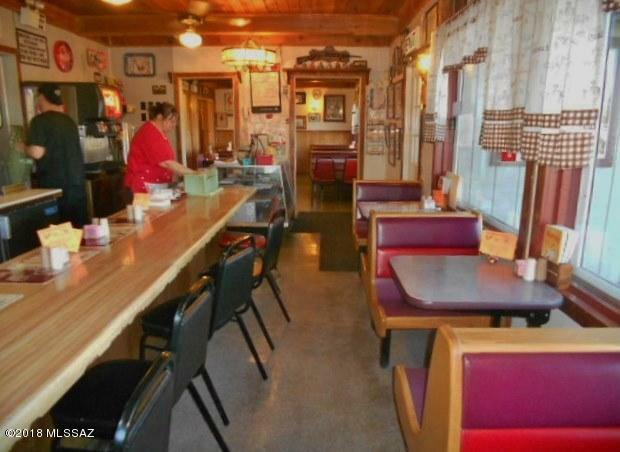 Fully equipped commercial kitchen w/walk-in refrigerator. His & her bathrooms in main restaurant. Additional walk-in refrigerator, freezer in separate 220sq ft outside building & additional large dry storage areas. 706 sq ft living space, 2 bdrm, ofs, kitchen/living rm, & full bath with laundry hookups, including enclosed AZ room.